This week science fiction thriller writer and transmedia novelist JC Hutchins announced on his blog the start of a “groundbreaking fiction experience” that will be free and completely online. The project has been couched in secrets, but Hutchins has confirmed that it is a spin-off of an undisclosed show that airs on a major cable television network frequented by science fiction fans and other “geeks.” Fans will have to be on the lookout, but according to Hutchins, the experience opens in a few days. Updates will be available from Hutchins’ Twitter stream and through the #NewHutchFiction hashtag. What can fans expect from this project? In his teaser, Hutchins admits “It’s about the end of the world” but doesn’t go into much specific detail, although he provides a few images that suggest some kind of catastrophic disease is on the horizon. Hutchins hopes that this will be “an authentic and emotionally resonant experience” and briefly discusses the work behind the mysterious project, including collaboration with filmmakers and model makers. JC Hutchins is probably most widely known for his popular podcast trilogy 7th Son and for his work on the transmedia thriller with Jordan Weisman, Personal Effects: Dark Art, published by Smith & Tinker. Hutchins has also contributed to Smith & Tinker’s online collectibles game for kids, Nanovor. 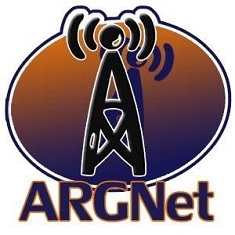 Click here for ARGNet’s interview with JC Hutchins. Click here for our previous coverage of Personal Effects: Dark Art.